Once a week since the middle of January, students at St. Monica B.A.S.E. 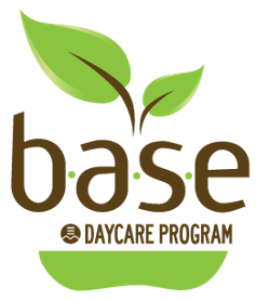 daycare as well as Gardenview B.A.S.E. daycare put their creative skills to the test and collaboratively produced two digital storybooks under the guidance of Miss Jodi. Each child dreamed up their own character and brought it to life by thinking about their character’s back story, what they like to eat, where they live, and even what they like to play. They invented a series of events and placed them into a story chart to tie all of the characters together. Next, they illustrated all of the story events. Students learned about the importance of consistency in their drawings throughout the book as they worked to create a cohesive storyline. Once everything was drawn and coloured in, they thought up voices and personalities for their characters. To bring their story to life, they then recorded the narrative using the Book Creator application on an iPad. They gave their story additional depth by recording sound effects using their own voices. Using iMovie, Miss Jodi added sound effects and background music, and created a “Find the Hidden Message” game to accompany the story. The group’s storybooks were played at their viewing parties last week. Throughout the project, students practiced their writing skills by using their finger as a stylus to write words on the iPad. What a creative way to encourage literacy! Please read and listen to the wonderfully creative digital storybooks below, and feel free to play the accompanying “Find the Hidden Message” game. Every time you find a word with a blue cloud drawn around it, write it in the next available space within the sentence that appears under the video, and you will uncover the hidden messages. _________________’s don’t __________________ things from one another. They ______________ in the friendship and _______________ each other up. This keeps everyone out of ________________ and working as a team. We _________________ our toys and _________ _________ our friends. Everyone ______________ to school _______________. If we all ________________ each other to not be ______________ ______________ things, we could all stand ______________ to one another and play _______________ and _______________ games. Next Post Catapults, Collaboration, and Creativity Oh My!